It used to be that people assumed divorce would be ugly, stressful and full of conflict. This is not what anybody around the divorcing couple wants, but it’s a very complicated matter. There are deep feelings, and some of them may be complex. There are so many different situations – often involving shared property and even questions of child custody. For a long time, people were used to seeing (or hearing about) divorces being played out in court, with each side arguing fiercely for its own interests. Fortunately, things have changed. That’s not to say that divorce has become a seamless and even happy experience for most people – but by accessing the right professional and legal tools, it’s possible to remove a great deal of the friction that can make divorce so difficult. Anyone who says they can make your divorce 100% free of conflict is probably lying to you. But highly trained professionals can help you resolve differences in more effective ways, and find solutions you’re both happy with. This might involve compromise on one or both sides – but the collaborative divorce process can and does lead to far more amicable and mutually satisfying results. Collaborative divorce is a legal agreement into which both parties enter – it stipulates that both parties agree to resolve their difference outside the courtroom. What this means is that most of the uncomfortable legal business involved in a traditional divorce – such as depositions, testimonies before a judge and so forth – are completely bypassed when collaborative divorce is successful. This alone is worth it for many divorcing couples. Sometimes lawyers are a part of the collaborative divorce process, and the results can be very good. In other cases, lawyers are not necessary. But if lawyers are involved, they necessarily must understand and respect the collaborative divorce laws and goals. They are excluded from the actual collaborative divorce sessions, but each party can consult their lawyer beforehand and prioritize their needs, goals and concerns. Once you’ve decided that collaborative divorce may be something you and your partner are interested in, the question of how to find professional help remains. 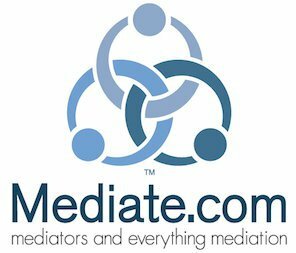 Online and print directories (including newspapers) are full of businesses that help people with divorce – but collaborative divorce is a specific family law option in New Jersey, and the process should only be entrusted to experienced and certified divorce mediation specialists. It’s also a good idea to look for a collaborative divorce professional with specific financial advising credentials, such as the Certified Divorce Financial Analyst (CDFA) certification. An academic background in counseling and/or therapy is also a good sign. Happy client reviews are another important detail to look for – you want to know that people have been all the way through the experience of collaborative divorce with the help of that particular professional, and that the results exceeded their expectations.